Between May and September there will be five events featuring film favorites from the 80s. Food trucks will be on site and the movies will begin shortly after dusk. 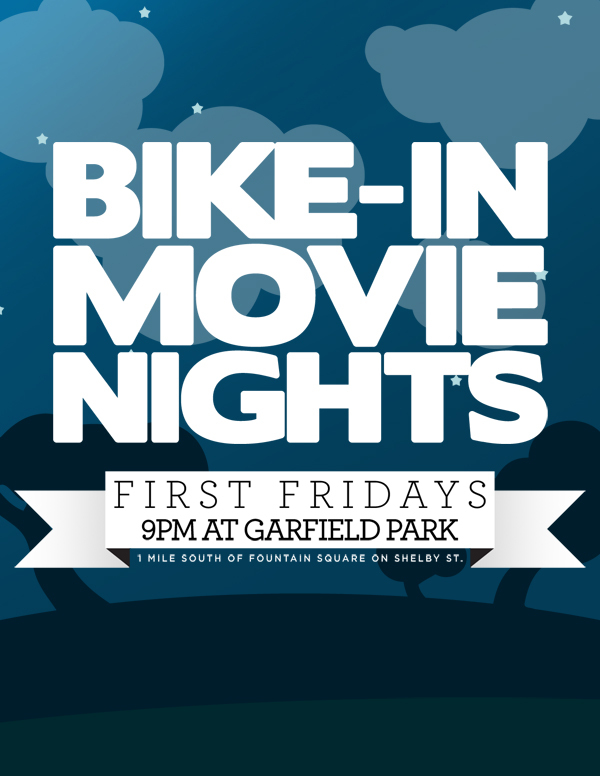 Bring your bikes, blankets, family and friends to this new Indy Parks event. do you have to have a bike or is everyone welcome? Where exactly in the park is this held? The movies are shown on the lawn west of the Garfield Park Arts Center. hat time are the food trucks there? NY Slice is typically here by 8:30 pm.